It takes an adventurous palate to appreciate this coffee’s blunt flavors. In fact, French Roast is one coffee that people seem to either love or hate. There is no in-between here. 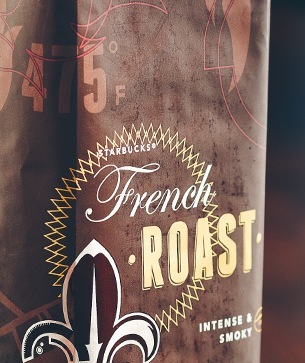 If you are a Francophile, we’d like you to know that our French Roast is something we’re particularly proud of. Perhaps no other coffee demands more attention from our roasters. And the beans we use here are of the highest quality. In truth, they have to be in order to withstand the intense fires that make French Roast what it is – anything less than the sturdiest would be totally consumed by the heat. A savory onion bagel with cream cheese, chives and some lox.